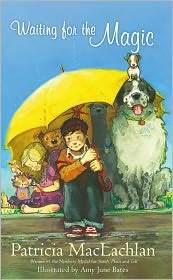 The books read at a certain age, for me between 10 and 13 years old, can be permanently stamped on your psyche. I became a real reader at this age, with the loving and supportive help of two very literary teachers. Interestingly these fine ladies, upon retirement, took jobs at the local library. I can’t think of a better suited job for either of them, seeing as they introduced me to my own love of reading. As a young girl I read everything I could get my hands on (sound familiar?) and read at the speed of lightning (again, any surprises there?). In my opinion reading begets reading. It’s The Neverending Story come to life – as soon as you finish one there is another hovering in the wings. You don’t want to stop, you might missing the next adventure. This is also the place in my life where reading became how I made sense of the world. When you are a young adult, navigating the confusing new currents of adolescence, processing the end of childhood and the anticipating the looming seriousness of the world of adults, fantasy has special something to offer. At a time when you feel most impotent and insignificant, confused and lost, stories of seemingly ordinary kids doing extraordinary things is a welcome escape. Who can forget poor Wart, who doesn’t even know that underneath all those skinny limbs and dirty clothes he’s a KING! It doesn’t get any better. There are so many authors that stick out in my mind from that era. Natalie Babbitt, Susan Cooper, Lois Lowry to name just a few. Good young adult lit is written today, but forgive me if I wax nostalgic about the ones from my own. So it was with great pleasure that I discovered new books by two of these steadfast writers. 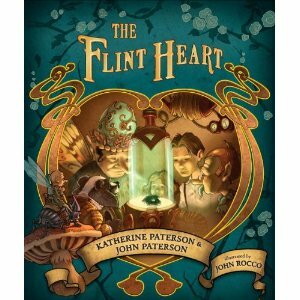 The Flint Heart by Katherine and John Paterson (of Bridge to Terabithia fame) and Waiting for the Magic by Patricia MacLachlan (author of Sara Plain and Tall). I can’t remember when I read Bridge to Terabithia but I distinctly remember it was one of the major stories in my childhood that directly dealt with death. I have the same foggy notion of Sara Plain and Tall – a more distinct picture of Glenn Close comes to mind. Neither of these books had the staying power of say, Tuck Everlasting, which I will remember clearly for my lifetime, but they are part of the swirling background of my youthful reading. They helped set the stage for the reader I am today. That reader is the one who meanders through the YA section of the bookstore, despite being a 30 something mom. The one with whom the bookstore owner jokes, when confronted with these titles, plus a nonfiction book about the Romantic poets, and a monster story in the same pile “I see these books are for a diverse audience” (nope all for me!). The one who sits down and reads each of these books in a short afternoon respite while her child is napping. But first and foremost, the reader who lets it all go and enjoys the magic for a short time, since magic in the real world seems so lacking. Magic is of course the theme of both these stories. The Flint Heart is the more obvious fairy tale (it’s in the subtitle after all) with many endearing pixie characters and a classical magical plot. Waiting for the Magic however, is more subtle. From my very cursory research, it appears that Ms. MacLachlan’s later books are proving to be more fantastical. This is interesting, since Sara Plain and Tall, like its titular character, is nothing if not pragmatic and no-nonsense. She should keep at it though, since it’s a genre she clearly flourishes in. This book in particular stole my heart, mostly because the mother in the story, upon the departure of her husband, goes down to an animal shelter and adopts four dogs and a cat for her bereft children (and clearly, as a salve for her own sense of loss). What’s not to love? With magic and dogs, you can’t lose in my opinion. Not only does a good fantasy story enliven the tedium of real life, it’s heartening to know that the authors so beloved in my youth are still going strong. It leaves me hopeful that my daughter will have great reading experiences with them too. Moreover, if they are still around and writing, it means I can pretend that I am still young. Because surely none of us has really aged? Not with all that magic flying around.